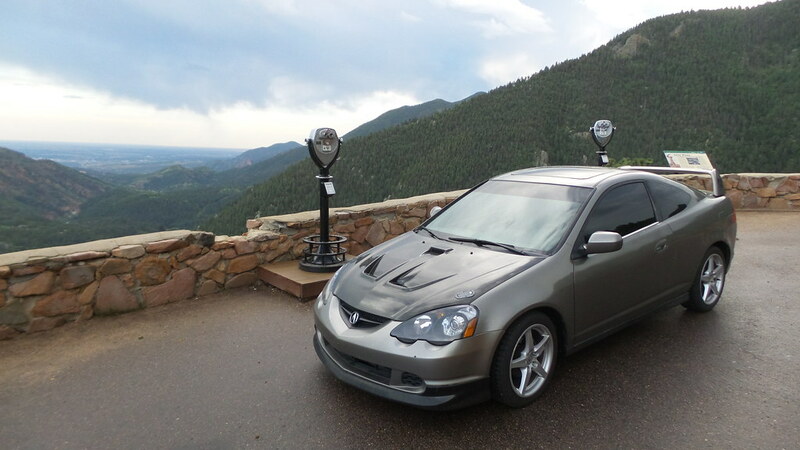 It’s been a little while since we wrapped our 2016 Pikes Peak International Hill Climb coverage, but I feel it’s worth revisiting for this short film from Hankook Tires. It chronicles Rhys Millen‘s Breaking 9 attempt, something we followed closely throughout this year’s event. The subject of EVs in motorsport is a contentious one, but one that still requires a lot of discussion. 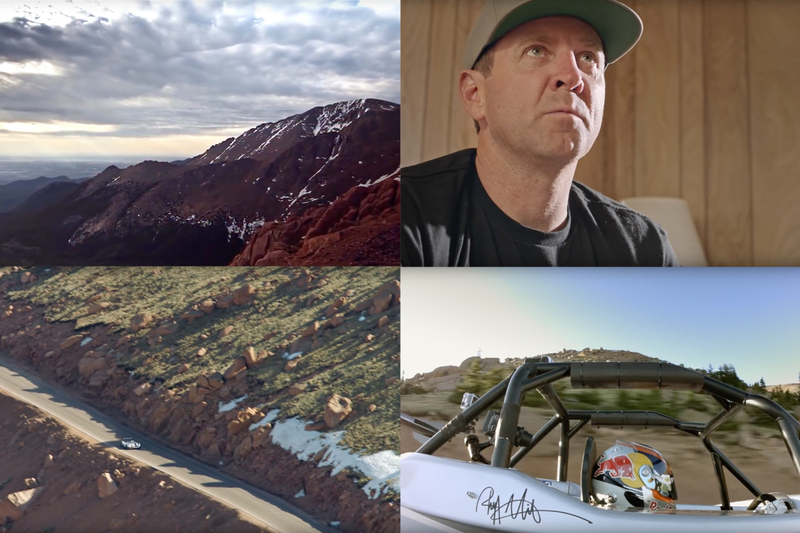 It’s interesting to hear Rhys and his father, legendary race driver Rod Millen, refer to the ’80s as the ‘golden days’ of Pikes Peak; you get the impression that there are few who are quite so passionate about the Colorado mountain as the Millens are. 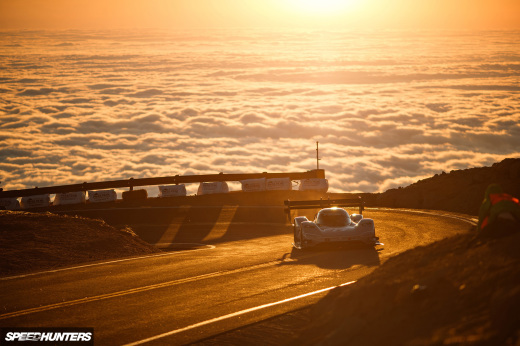 As the conversation turns to the modern and all-paved Pikes Peak, I find myself hearing a different rhetoric – not better and certainly not worse, but a different view of what is one of the most famous motorsport events on earth. The talk turns from reminiscing about the glory days (and let’s be honest, they were), to a focus on conquering the mountain in the fastest possible time. Previously, I think I’ve made the mistake of considering Pikes Peak as ‘man and machine versus the mountain’, when it’s really just ‘man versus mountain’. To be the fastest to the top, you need to take advantage of everything. Nostalgia and emotion have no place at the cutting edge of motorsport. It’s a relentless pursuit to be faster than the person next to you. Nothing more, nothing less. If this means leaving behind the internal combustion engine in order to go faster, where do you stand? Uuuuuugh. Need to go for a drive before it closes for winter. Do you like nearby? I can't imagine what it would be like to drive it in my own car! Ben Chandler it would be awesome, and kinda slow. So, they've obviously built the car specifically for this year at Pike's Peak, but what happens to the car now? Rebuild for next year? 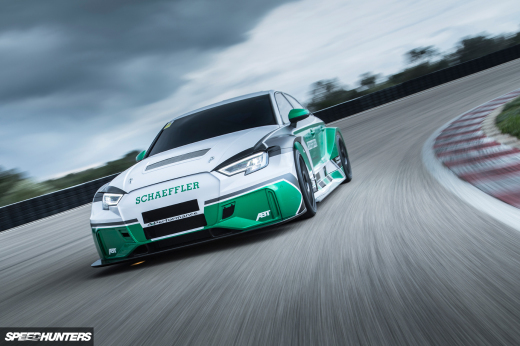 Does it go on to a life of competing in time attack? Retired to the showroom? That's... An interesting question you pose. To go faster? To win? To win you do whatever it takes. If that's your goal then you have to take no prisoners and leave the emotions at the front door. Be mindful of history but don't let it repeat itself, it's history for a reason. It's been passed. Turbos slow with altitude and air density and combustion becomes harder, so remove the combustion. Makes sense. Does that mean I want to see all Internal Combustion cars scrapped? Certainly not. I love my cars and certain cars I'm likely to never afford because of what they mean to me. Power train? Bhp? All that stuff is nice but I don't make my choices based on wanting to beat someone, I'm just not programmed that way. My interests in Motorsport mainly stem for the innovation but also from my interest in experiencing the circuits themselves for myself. Ben Chandler My brother in law lives out there and we drove our rental car to the top when we were out there. It was 80 degrees at the bottom and about 30 at the top with snow on the summit. Our rental was underpowered already going up the mountain, but it has about half of the power as you get close to the top. The altitude makes a huge difference in power as you go up. Hey man, low traffic if you go at the right time on a week day, and no cops. Once you get past the little booth where they check your brake temp when coming down... just saying. my friend Keven just got a 3 months old land cruiser by work in part at a home pc. xrockonx it's getting rebuild for the next year, they also have other interesting projects, like the Electric Fox Dragster. TarmacTerrorist I'm of a similar opinion, there's only so fast you can go on the road anyways. I am fascinated by the rapid progression of these technologies though and would quite happily use an EV day to day if it mean I could have something interesting for the weekends or whenever the mood takes. In saying that, I also know people who are absolutely ruthless when it comes to being the fastest in whatever category they compete in. Oh totally, now the daily has become "another bloody project" as the Mrs says, I'd totally drive an EV or a Honda hydrogen as a daily, if I could afford one. I was having my wiring and stereo sorted yesterday, I'm outside and I go to use an ashtray and it's an EV socket for a tesla. On the side of an ICE installers. The future is here, there is no point resisting it. Doesn't mean there is no place for sentimental feelings though. Oh, Turbo_hippy is one of those ultra competitive types. I think that's why we are mates, I worry about everything and am not competitive and he doesn't care about anything and will do anything to win.